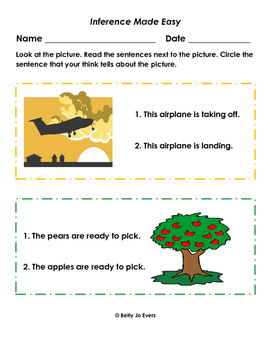 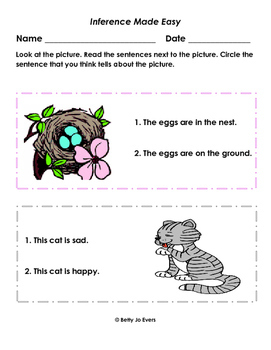 Inference is a mental process by which ideas and/or conclusions are reached based on evidence from the picture and text and supported by the reader's prior knowledge. 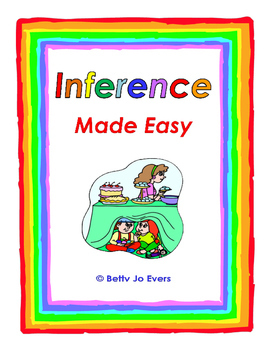 "Inference Made Easy" was created by Betty Jo Evers to give students the opportunity to practice this mental process with grade-level text. 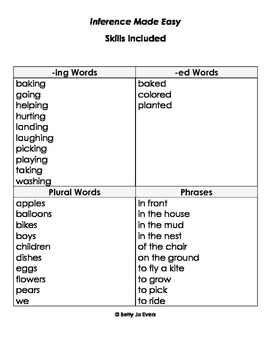 There are four foundational skills included: -ing, -ed, plural, and word phrases.